TELL-TALE SIGNS YOU NEED GARBAGE DISPOSAL REPAIR IN PHOENIX, AZ. For a start, a garbage disposal is basically an electrically operated device that is fitted to the waste pipe of a kitchen sink. Garbage disposal plays very pivotal roles in the typical household. It generally grinds up food waste and enables them to be conveniently disposed of into the sewage line. It too, just like any other home equipment, is equally prone to damages, breakdowns, and obsolescence. As such, it needs be repaired from time to time to keep it in the very best shape and form always besides ensuring its optimal performance. In the discussions that follow, some of the signs that may prompt you to the need for a garbage disposal repair are going to be examined and discussed in detail. Poor grinding may be brought about by insufficient water in the disposal at the time of grinding, broken blades, or handling materials that ordinarily ought not to be handled by the device. It is characterized by a humming sound but with no corresponding grinding action. This happens when there is too much waste than the garbage disposal cannot handle. It is mainly brought about by the diminishing of the efficiency of the device. It is characterized by a humming of the motor but with no corresponding grind. It may also be illustrated by an overly noisy grinding sound or premature stopping. It may burn the motor is not mitigated in time. 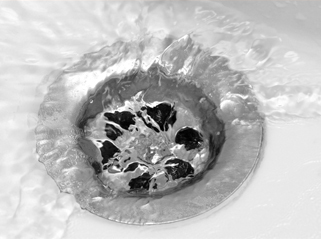 Clogged drainage occurs when the kitchen’s plumbing system is blocked by substances such as food particles. These particles interfere with the free flow of water into the drainage. Such still water may be a hot bed of the growth of germs and with it, the outbreak of certain hygiene-related sicknesses such as Cholera and Typhoid. Unresponsiveness refers to a situation in which the garbage disposal does not do anything when switched on. It does not hum, make a sound, rotate the blades, or in some cases display the lighting indicators. This may be due to a faulty connection, blow out fuse, or faulty electrical components. In case leaks are noted beneath the disposal unit, then it is probably about time a garbage disposal repair in Phoenix, AZ. is carried out. These leaks generally arise as the results of perforations of the unit and may soil the area beneath the sink. If left unattended to, in the long run, hygiene-related sicknesses are often bound to break out.